We have been harnessing the wind's energy for hundreds of years. From old Holland to farms in the United States, windmills have been used for pumping water or grinding grain. Today, the windmill's modern equivalent—a wind turbine—can use the wind's energy to generate electricity. Wind turbines, like windmills, are mounted on a tower to capture the most energy. At 100 feet or more aboveground, they can take advantage of the faster and less turbulent wind. 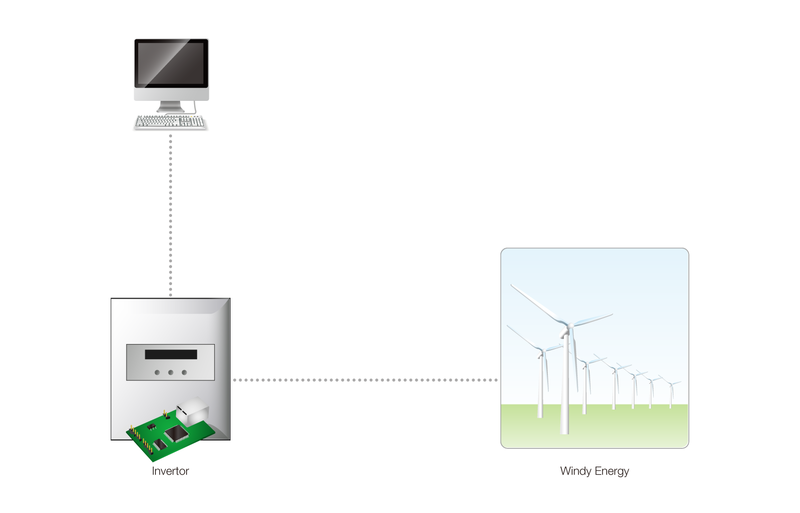 Sollae Systems’ serial Ethernet networking module can be applied to wind energy management system. Wind inverters are normally located in open fields so it is quite important process to set up network system to keep an eye. To do so, Sollae Systems’ serial Ethernet device server helps the wind inverters quickly get network connectivity to improve efficiency on data acquisition. It forwards collected HMI data of an electric power converter to a main server to facilitate remote monitoring.